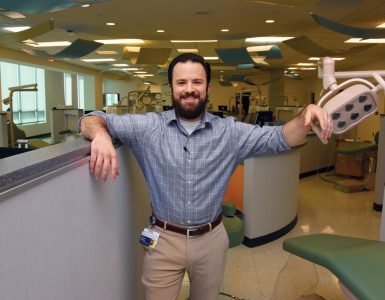 It was a sweltering day as patients walked into the cool, comfortable dental clinic one morning last summer. Amiable staff members greeted them, and their appointments started right on schedule. Many patients, satisfied and pain-free after their vexing dental problems were resolved, offered profuse gratitude before leaving. This may sound like a typical dentist’s office, but there were some differences. For one thing, this clinic was on wheels. DCG faculty, students and alumni rolled up their sleeves last July for the seventh year in a row to volunteer their services to some of Georgia’s neediest citizens. 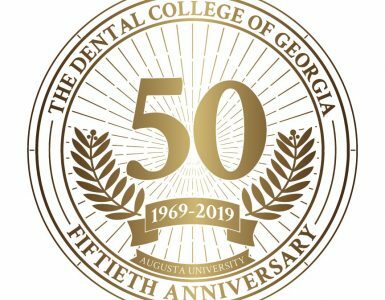 “It’s been a privilege to participate in such a vital initiative,” says Dr. Van Haywood (’74), professor of restorative sciences, who coordinates DCG’s involvement in the annual mobile dental clinic sponsored by the Georgia Baptist Mission Board. 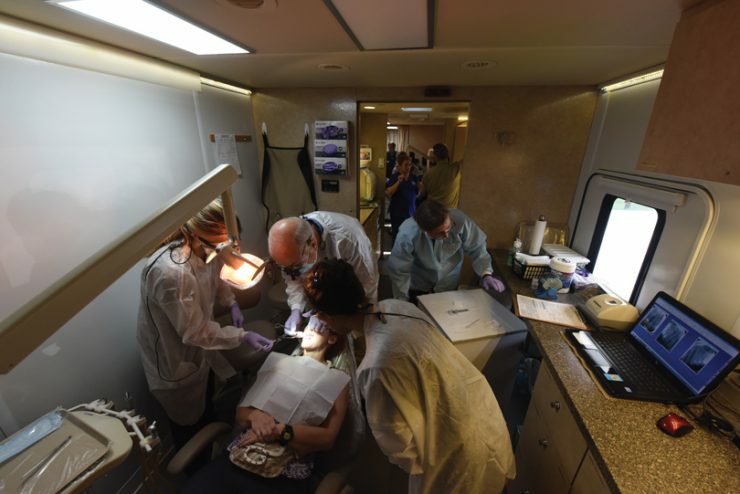 Various Baptist churches statewide participate, inviting area dentists and others to volunteer for the two-day clinic set up in a modified bus in a church parking lot. Last summer’s mobile clinic was held at Washington Heights Baptist Church in Thomson, approximately 40 miles west of Augusta. 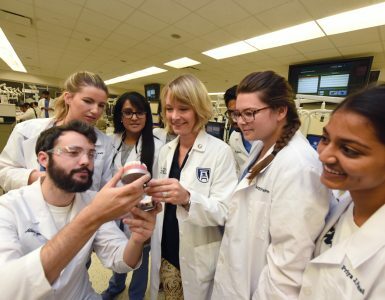 “It’s a great experience helping others and learning from the best of the best,” says Ansley Pike, a junior dental student who, along with many of her classmates, volunteered despite being in the thick of studying for the National Board Examinations.